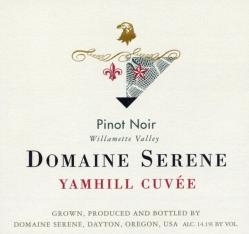 This Oregon Pinot Noir is a beautiful example of what The Willamette Valley is capable of producing. The nose has notes of cherry, pruns, stone fruit, minerals, and a slight hazelnut. A very complex wine with all the elegance of a classic Burgundy and beautiful soft fruit flavors. Cherry, coco, raspberry, led, white pepper, and a stoney minerality are just some of the characteristics I picked up while tasting this wine. The finish is quite long and desirable. I score this Pinot Noir 91 points.